for the San Francisco Bay Area. It's always a beautiful thing when there's a good new restaurant in Marin (for Marinites) and Dan and Holly Baker's Ava fits the bill in Sleepy San Anselmo. 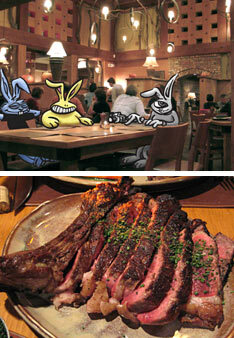 There isn't a ton of great food in Novato, but there is some of the best steak around in a big cattleman-esque setting. Boca's George Morrone brings great San Francisco restaurant (Aqua, Tartar, Fifth Floor) pedigree to the out-of-the-way Marin community. 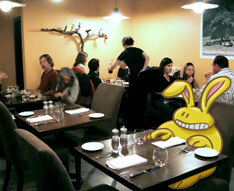 It also brings some nice slabs of red, aged, sliced cow to the hungry masses. 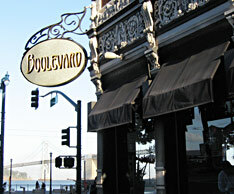 Nancy Oakes and the folks at Boulevard have been treating San Francisco patrons to incredibly delicious food for a long time now, and the magic is still there. There are no broken dreams served here. It's number 1 on Mission St, in quality and address-wise. Entire contents copyright © 2010 by BunRabCo. All rights reserved.